"Just saw Dr. Hubbard for the first time. So easy to talk to." "I saw Dr. Hubbard. He was wonderful! I would definitely recommend this office." "I personally know Dr. Hubbard. He is a caring, highly skilled, foot and ankle surgeon." 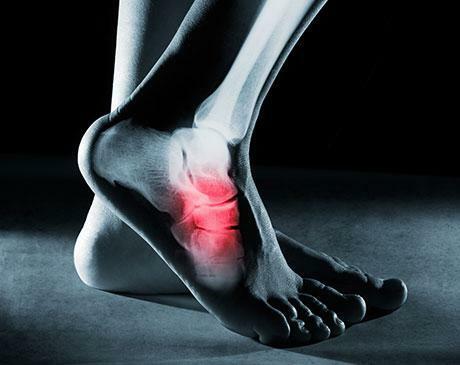 Dr. Hubbard and Dr. Dixon are highly trained in diagnosing and treating diseases and disorders of the foot and ankle. Personalized treatment programs are developed to satisfy your needs. No need to leave Fairbanks for your medical and surgical care as Dr. Hubbard treats a wide spectrum of foot and ankle conditions. Dr. Dustin Hubbard is the premiere Foot and Ankle Specialist of Interior Alaska and takes great pride in providing the most advanced care for all foot and ankle ailments. Dr Hubbard is one of the few Foot and Ankle surgeons in Alaska that has been trained in ankle arthroscopy and total ankle replacements. We strive to always involve patients in their care by educating them on all options available, whether they are conservative or surgical. We accept most major insurances including Medicare, Tricare, and Denali KidCare. For any coverage related questions, please call our office.